At Six is Stockholm's newest hot spot offering extraordinary experiences with a twist. Enjoy a range of rooms, restaurants, bars, a gym and an events centre. And At Six is already becoming a firm favourite here in Stockholm. Six is the magic number! 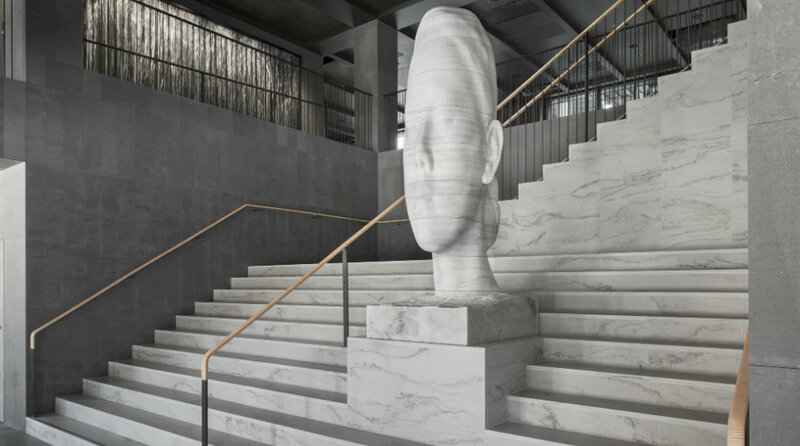 At Six is a sensational hotel in Stockholm's newest and most elegant meeting place, Brunkebergstorg 6. We have 343 exclusive rooms, a top-notch conference centre, as well as great restaurants and bars offering fantastic food and beverages. Enjoy doing nothing at all – just bask in an atmosphere that stimulates all the senses. Also just a short walk from public transport, Stockholm Central Station and the Arlanda Express. At Six is the place for you, whether you're here for a conference, a holiday or simply want to get away from it all for a while. At Six has 343 fantastic hotel rooms, where even the smallest rooms are nice and spacious (26 m2). Revel in the breathtaking views of Stockholm from our three-storey penthouse with panoramic windows, or treat yourself to luxurious accommodation in one of the 40 suites. The presidential suite has a private roof terrace offering stunning views of the Royal Palace. All the rooms are elegantly furnished with a playful twist. The Masterpiece Suite is our most magnificent suite of all. Enjoy 85 square metres of pure luxury with a large private terrace offering stunning views across the Stockholm skyline, as well as unique design and high security features. At Six is all about pleasure for all the senses. Come to our wine and deli bar for a coffee or a glass of wine and some snacks as you watch the world go by in the square. Or try some classic European and international dishes in our restaurant, prepared using the very best seasonal produce. During the summer, the restaurant spills out into the square. Our cocktail bar offers a generous selection of delicious drinks and exciting musical acts - it's the ideal place to meet friends or host an event. Read more about our restaurants and bars here. At Six offers a 2,000 sqm space that is ideal for all kinds of occasions and events. We have a number of different meeting rooms meaning that both large conferences and small meetings can be organised with ease. You make the decisions and we'll fix the rest. Find out more about our event and conference facilities here. Take some time out and work up a sweat in our gym where you'll find a great selection of cardio machines, free weights and fitness equipment. Contemporary art, modern design and Swedish craftsmanship coexist in perfect harmony here at the At Six hotel. The award-winning British interior architects, Universal Design Studio, have created the modern and timeless interior, and the art has been selected by the art curator Sune Nordgren. The name At Six is a tribute to Stockholm's new central point, Brunkebergstorg 6, the most elegant hot spot in town. A lifestyle hotel, integrated with 10 bars and restaurants that are all managed on site. We bring together international and local gems to ensure you'll have a truly special experience when you visit us. We hope to welcome you to At Six some time very soon! Blue line to Kungsträdgården or all lines to T-Centralen. Buses 53, 57 and 65 to Gustav Adolf Square. Arlanda Express high-speed train, Commuter train by public transport, or Airport shuttle bus to Stockholm Central station.